Are ELD Students Being Set Up for Success or Failure? Ms. Boitano's 1st period class. Students with different levels of English comprehension make up the back rows of our U.S. Government and Physical Science classrooms. They frantically copy down the notes and huddle into a group when they take tests. Counselors choose all of their classes based on their level of English comprehension. Still, counselors sometimes fail to secure them academic assistance when these classes are in English. These students rely on fellow bilingual classmates to help them with their academic work, along with teachers, who may speak little Spanish or none at all. Students in higher level ELD classes find themselves seeking for help more often as they become integrated into college preparatory classes, which are taught in English. These students are currently in an English Language Development (ELD) class depending on their ability to write, read, speak, and understand the language. The levels go from ELD 1 to English 9, English 9 being the most advanced level. Being able to understand the topics in their classes is crucial because it determines their admission to college. 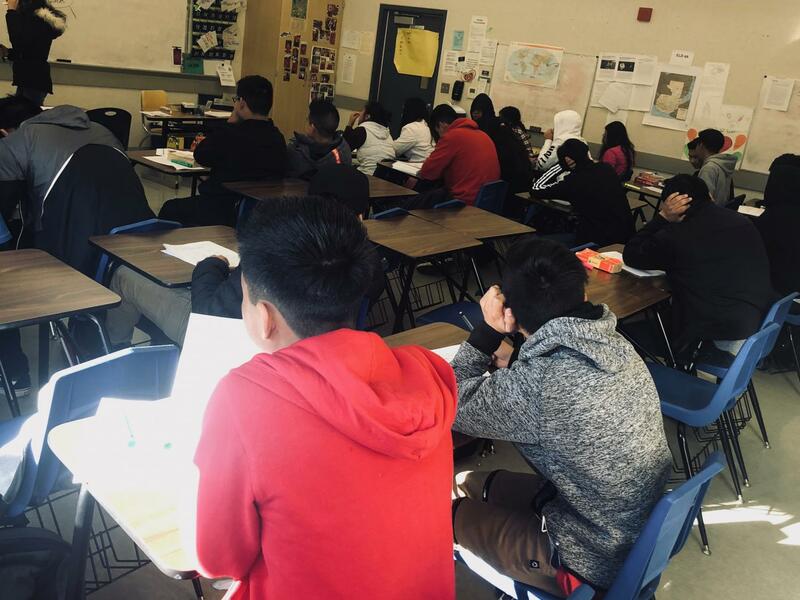 “In my experience, students who enter SRHS, with consistent schooling in their native country, tend to advance through the ELD levels faster than a student who has missed years of schooling,” recalls Ms. Boitano. This is only a reality for a small percentage of these students. “Most of the students I work with will have been in the country for 4 or 5 years at the most, and often only 2 or 3 years. It’s a relatively short amount of time to achieve college level fluency in any language, even if you’re immersed in the culture,” explains Mr. Nolan. Most of these students settle for community college or the workforce, because except for English 9 SDAIE, ELD classes are not college preparatory classes. Students need to have college preparatory classes on their transcripts in order to be eligible for four year schools. “COM is a great place where students can get the necessary skills and classes they need to enter four-year colleges/universities,” says Ms. Boitano. Not only is being able understand the material a necessary challenge, but to succeed on a test is even more difficult. The tests themselves are sometimes hard to understand. “In Government we are put into a group and we take the test on the Chromebook. We can’t help each other though. We each have to take the test individually,” explains Yoselin. We all sit among these students. Still, few students understand that most of the time they are intimidated by group projects and presentations that may seem like easy tasks for others. All of these students have dreams and aspirations that can be limited by a short list of vocabulary words. Learning about our first amendment rights in our Government classes is valuable, but it could have an even more significant impact if every student could read them and understand what they mean.